The new Oculus headset is mostly similar to the Oculus GO, another standalone headset, unveiled in October of last year. One major difference between the Go and Mi VR is that Xiaomi would provide all the software for the new one rather than Facebook. Coming to the specifications, the details are scant except for the fact that the Qualcomm Snapdragon 821 processor powers the device, which will have a WQHD LCD screen. Also, it won’t need a high-end PC or a smartphone to function, suggesting the new Mi VR Standalone functionality could be a blend of Samsung Gear VR and Oculus Rift. “Through our partnership with Xiaomi, both Oculus Go and Mi VR Standalone represent our first step in delivering that sweet spot between mobile and PC VR,” Facebook vice president of VR Hugo Barra said in a statement. These devices would be the easiest way to experience VR, the executive said. The partnership with Xiaomi could be the result of Facebook being blocked in China over censorship issues, notes Recode. Partnership with the Chinese firm would give Facebook the much-awaited entry into China without having to worry about the censorship issues or storing user data and information. In 2014, the Menlo Park, California-based company bought Oculus for $2 billion. Facebook has limited exposure in China, one of the world’s largest markets for internet services. The U.S. firm has an ad sales office in Beijing. Facebook-owned WhatsApp is also active in the country, but the service faces frequent disruption in the region. Just last year, a photo-sharing app surfaced in Apple’s App store in China bearing a striking similarity to Facebook’s Moments app. At the time, many believed that it could be an “under the radar” attempt by Facebook to have a presence in China. Facebook also mentioned that the Oculus Go has yet to start shipping. 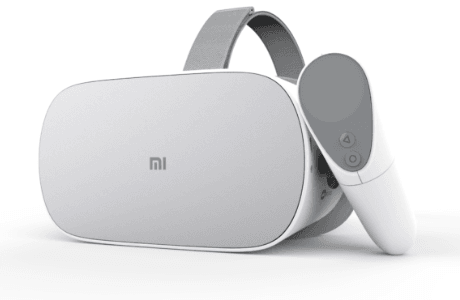 It is expected that the Chinese tech company, Xiaomi, will manufacture the Oculus Go, which would then be made available globally, notes TechCrunch. Oculus previously revealed the price of Go to be approximately $199. During the CES, there was no update on the price, suggesting the device could carry the same price tag, whenever it comes. Towards the end of 2018, Facebook-owned Oculus is expected to come up with the developer version of its premium standalone headset, code named Santa Cruz. The said device is expected to be pitched against the Oculus Rift and HTC Vive, both of which need to be tethered to a gaming quality PC. Further, Google and Lenovo would also launch their standalone VR Headsets. Sales of Facebook’s flagship VR headset have been slow. In fact, the sales of all VR devices have been slow overall. The demand is expected to pick up this year with new products coming in the category.